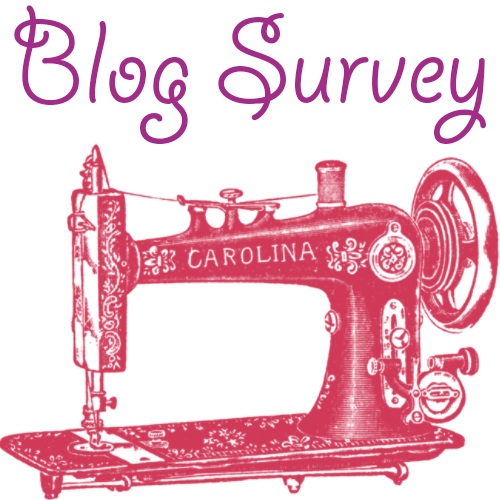 Home » sewing machines » What Would You Like To See? I have to admit something to you friends. I'm struggling to figure out what you would like to see more of on the blog. Just looking at page views isn't enough for me. I want to know from you, the people who are here each and every time a new blog post is put up. I want to know your favorite posts, your least favorite posts, what you want to see more of, and what you would like to see less of on the blog. 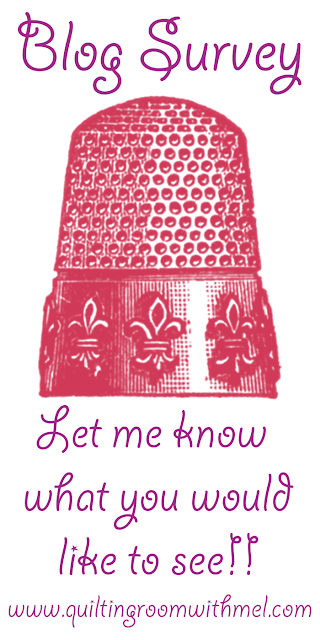 This is your chance to help shape the future of The Quilting Room. It's your chance to let me have it and I won't know who it is. So how are you going to let me know what you think? I've set up a survey on Google. On the survey, you can answer any of the questions you want to, you certainly don't have to answer all of them. There is also a place at the end where you can write a message. If you want to add details about a question this is the place to do it. There are also a few short answer questions. In the world of quilting and vintage sewing machines, there are just too many options for me to list. I really look forward to hearing from all of you. I hope it will help me plan out my calendar for 2017. I want to share not only what I love but what you really want to know. It doesn't do either one of us any good if I'm teaching you how to make flying geese when you'd rather see a quilt block with flying geese. Thanks again for your time and for your help.